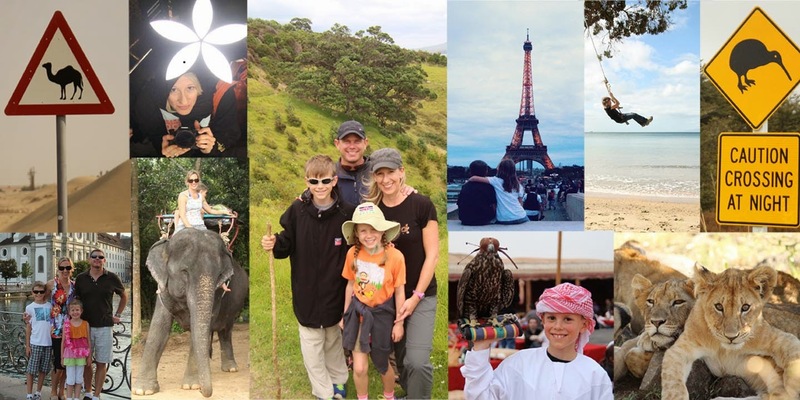 Depending on my mood and the mood of those traveling with me, a trip to the grocery store can be an overwhelming, "i want to sit down right here in the isle and cry" experience or an exhilarating exotic field trip around the foods of the world. The choice is entirely up to you. First off grocery stores don't exist here. They are called HYPERMARKETS and rightly so. Hypermarkets truly are grocery stores that are high on life and can't sit still. There have been moments when i am sure the store is actually running circles around me. There is SO much to take in. i promise one of these days i will be of sound clear mind and actually take pictures of all the amazingness that fill the isles. (Yes, i know "amazingness" isn't a word but it really seems the perfect description.) 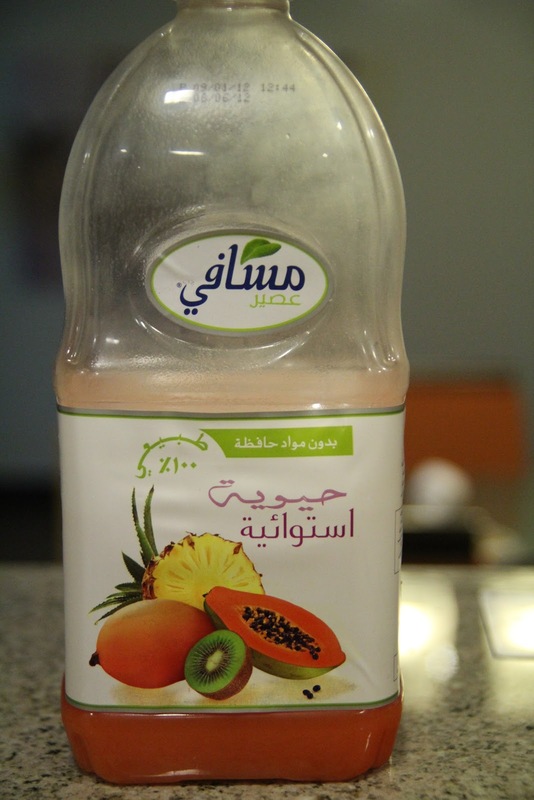 The choice for milk alone is ENDLESS; Date Milk, Chocolate Milk, cold milk, shelf milk, strawberry milk, camel milk. It is usually around the fruits and vegetable isle that my head starts spinning. Rows and rows of produce i have never seen or heard of before. Thankfully i am able to at least recognize the country from which they come. Sprinkled in between treasures from around the world, i am able to locate Pink Lady apples from France, SunMaid raisins from Selma and bagged carrots from Bakersfield. Most of the time though i'm not even sure if the odd shape in front of me is a fruit or a vegetable or how i would even attempt to cut it open. Our intent is always to purchase one exotic foreign item to try each time we go. The kids always want to sample the largest most prickly produce they can find which i am sure will involve losing copious amounts of blood to actually cut it open. Today we tried a soft small Custard Apple from Lebanon and washed it down with some cold Date Milk. From a distance, this odd looking fruit deceived me into thinking it was an asparagus stripped of it spikes. But when i noticed it's neighboring produce was all fruits i had to think again. 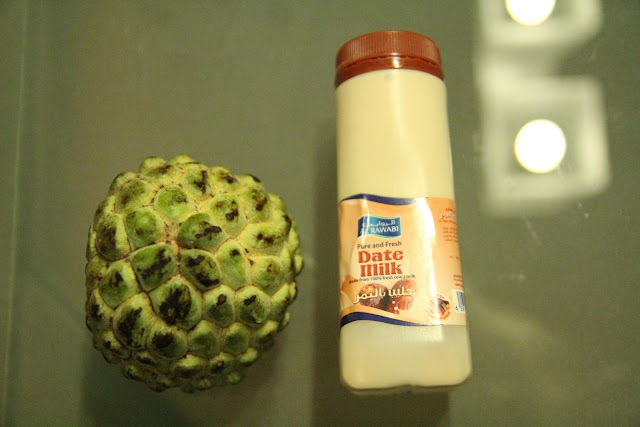 Custard apple is a perfect description for this fruit. i had to read online to find out exactly how to eat and prepare it. Which is simple, cut open and dig out seeds. It cuts easily and the white flesh inside forms little pockets that house large dark brown seeds. 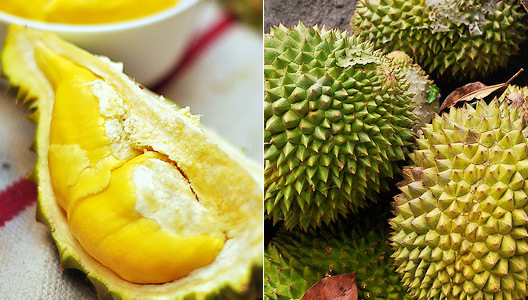 Once the seeds are dug out, eating it is like biting into really sweet and firm vanilla custard. It taste pretty much like candy. Evidence of it's sugary sweetness is that the precursor to this fruit snack was an Oreo cookie. Any fruit that can follow an Oreo and STILL taste like candy is a hit around here. i have no idea what the nutritional value of a custard apple is but we figure if it grows on a tree it must be good for you right?! Can't go wrong with Date Milk. It is like adding lots of brown sugar to milk. Who doesn't love that? Yes, Digestives are a big favorite around here despite the name. 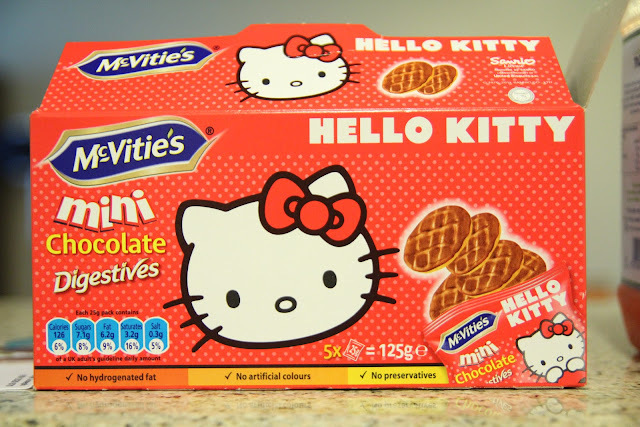 And better yet they come in CHOCOLATE and Hello Kitty wrapping! i realized on our first trip to the market all produce must be taken to the weigh station found in the produce section. Your fruits and veggies must be weighed and stamped before you make your way to the cashier. That has become the kid's job which involves a final inspection by mama. Because nobody wants to survive a trip to the HyperMarket only to become a casualty at the check out when you discover the bananas didn't get weighed back in produce. 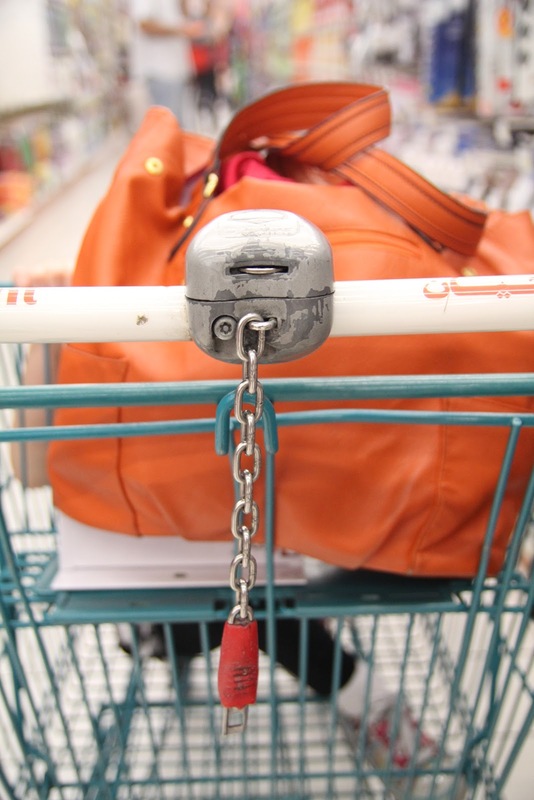 Lock on the grocery cart. 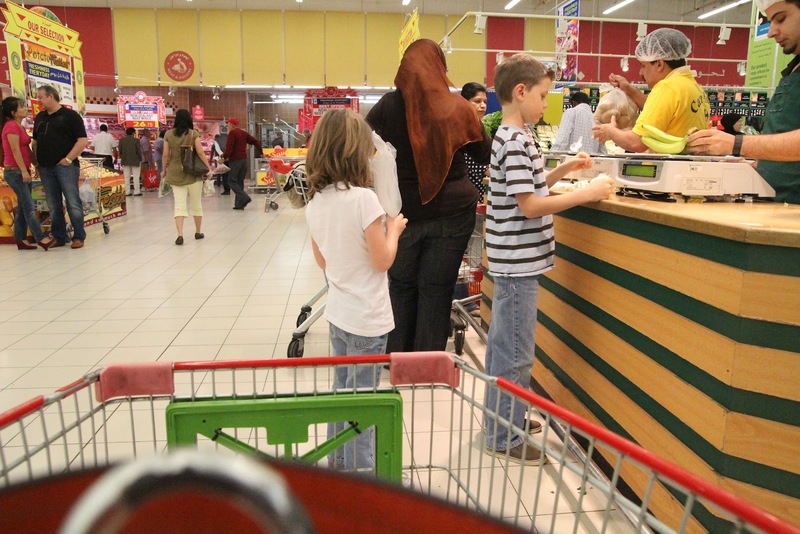 Kyle likes to find abandoned carts to turn in so he can pocket the 1 dirham. My family loves BACON. 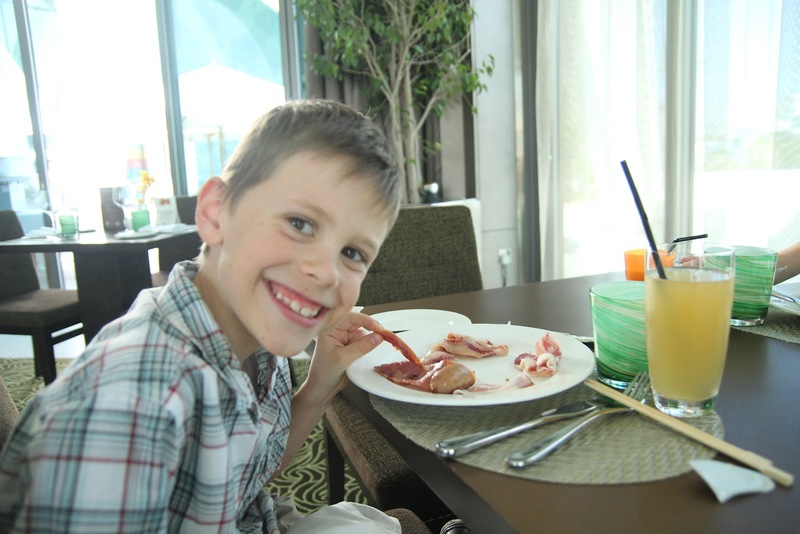 Chris & Riley have a favorite saying "Everything is better with bacon." Now that we live in a Muslim country bacon is not so easy to come by. There are only a few stores that actually carry it and even then it is hidden away in a secluded restricted section. It is not commonly found in restaurants. 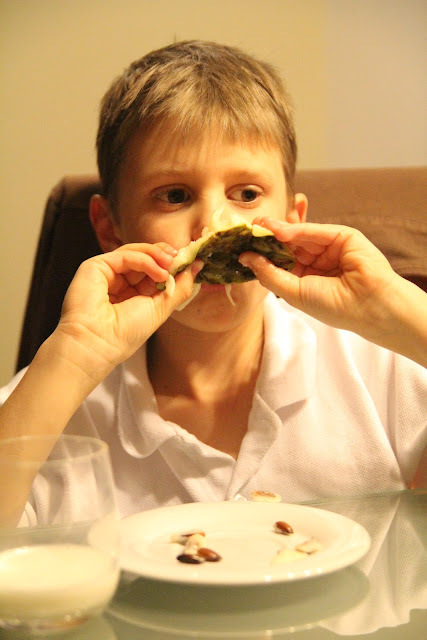 When my kids spot it on the menu they get SO excited! We are still working on learning not to shout out, "Woo Hoo! They have bacon here!" 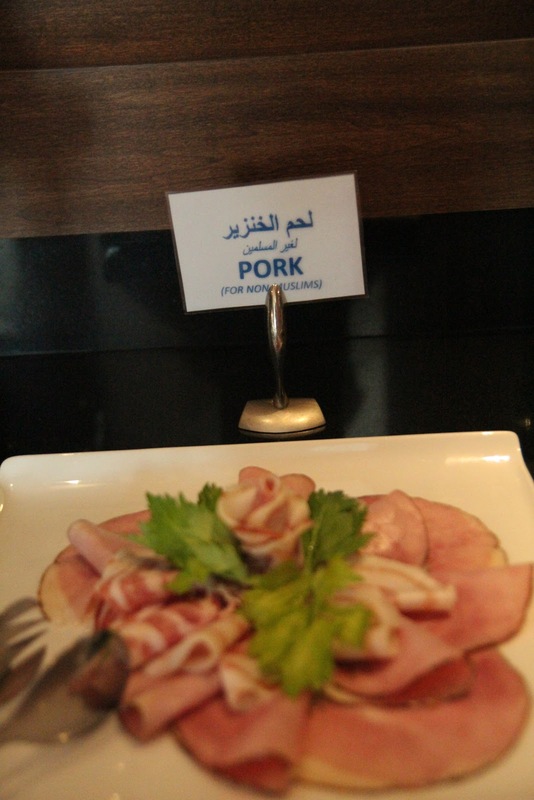 Saturday brunches usually include plates laden with "non halal" pork. 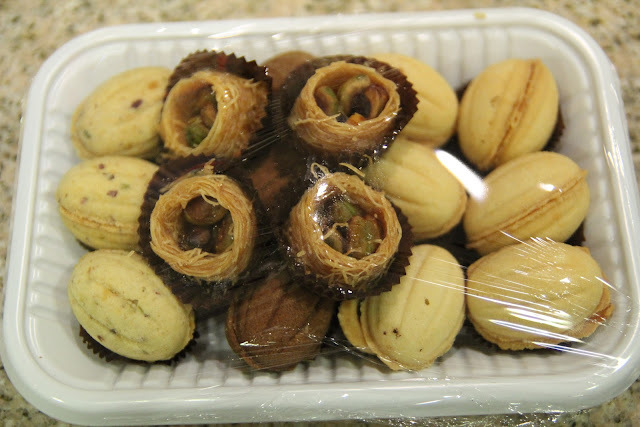 The treat cart in hotel lobbies are always filled with Arabic coffee, dates and Arabic treats. "Bird's Nests" and "Camel Eyes" filled with sweet syrupy goodness. I highlighted the digestive cookie picture and couldn't find the carb rating. I see calories, and salt but no carb?? You know dad wants to know the carbs. Ha ha.